You have got your club nights planned out, the beach dives sorted and your fun all chalked out. Arranging for some fun and entertainment for your kids is another story while on a vacation. Not any more when in Malaysia. Hello Kitty Town Malaysia which opened in Oct 2012 has become one of the major tourist attractions. It provides for complete amusement and entertainment for kids with one of the most loved characters they have grown up with. 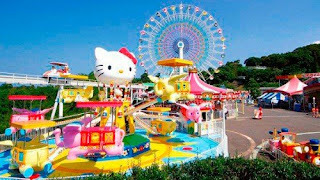 Hello Kitty Town consists of walk-through attractions, play structures, various interactive activities and a ride which follows the Hello Kitty theme. 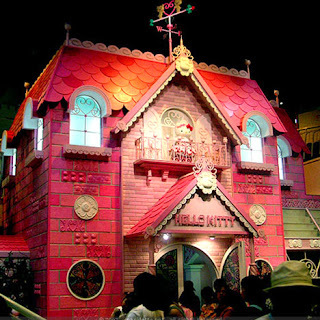 Key features include- Black Wonder, a hi-tech interactive themed experience, Kitty House - an iconic Hello Kitty house complete with living room, bedroom, bathroom and kitchen, The "Purrfect" stage that houses Hello Kitty and her friends for their live performance. Visitors can also enjoy jewelry making, a costume party, nail painting or bake cookies at Wishful Studio. 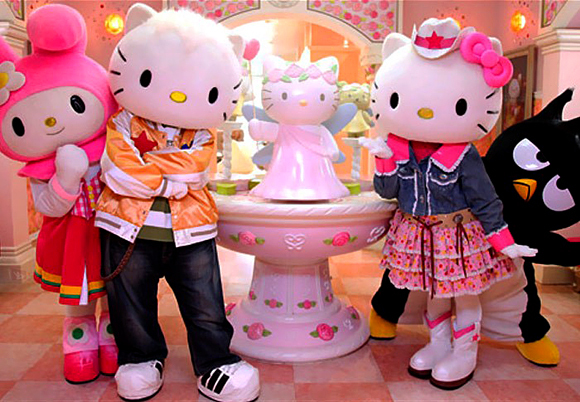 Hello Kitty Town also offers a playground, tea cup ride for family with young children, and visitors even get a chance to have photo opportunities with Hello Kitty and friends. 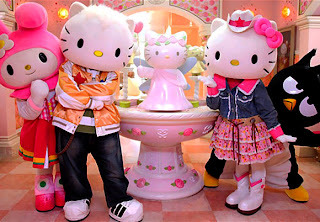 They can also have their unforgettable birthday celebration with Hello Kitty at the Apple and Strawberry Party Rooms. How to get there? From Kuala Lumpur Plus highway, take exit 253 to Senai Airport/Tuas and proceed to Exit 311 showing way to Kota Iskandar. Continue towards Kota Iskandar and proceed to Puteri Harbour. Hello Kitty Land is sited next to Puteri Harbour.